1. 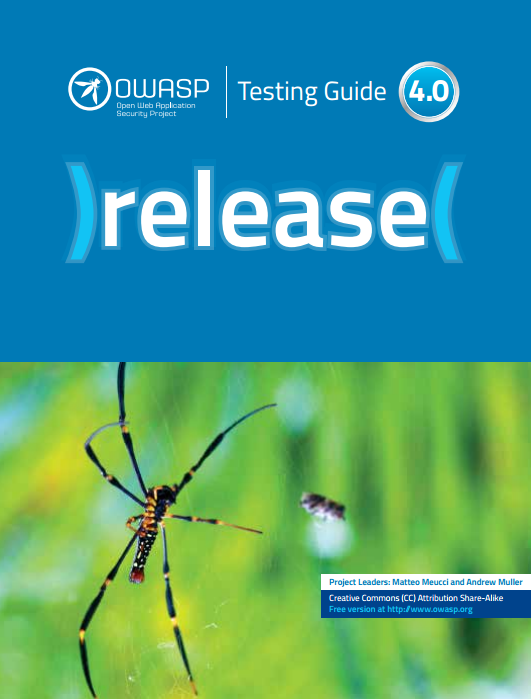 This version of the Testing Guide integrates with the two other flagship OWASP documentation products: the Developers Guide and the Code Review Guide. To achieve this we aligned the testing categories and test numbering with those in other OWASP products. The objective of the Testing and Code Review Guides is to evaluate the security controls described by the Developers Guide. 3. This version of the Testing Guide encourages the community not to simply accept the test cases outlined in this guide. We encourage security testers to integrate with other software testers and devise test cases specific to the target application. As we find test cases that have wider applicability we encourage the security testing community to share them and contribute them to the Testing Guide. This will continue to build the application security body of knowledge and allow the development of the Testing Guide to be an iterative rather than monolithic process. The Guide is a "live" document: we always need your feedback! Tell us what you love. Tell us what you love less. We would like to have some more media coverage on the Guide, so please, if you know somebody that can help please put them in touch with us. If you have the chance, you can write an article about the Testing Guide and other new OWASP Projects. Add 'quotes' to the Guide. We made a special 'quotes' pages for the Testing Guide. Here we'd link you to add comments and references to the Guide.